Paramount Business Jets specializes in organizing private jet charters to or from New York City. New York is one of the busiest air charter hubs in the world and therefore, aircraft options are plentiful. 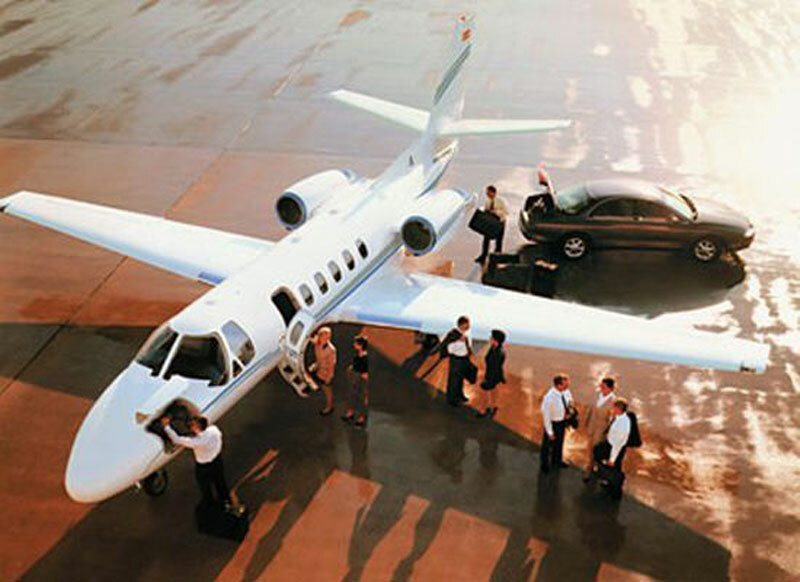 Teterboro Airport (TEB) is most preferred choice of executive airports to use in the area. A quick 30 mile radius search reveals over 150 private aircraft being available for charter on demand in the area. Over 67 aircraft options are newer than 2000 (YOM) and all of them are either ARGUS or WYVERN approved. The most common types of private jets within a 30 mile radius of New York City include light jets (Hawker 400XP, Beechjet 400A, and Learjet 35A), midsize jets (Learjet 60, Hawker 800XP, and Citation III) and large jets (Challenger 604, Gulfstream GIV, and Gulfstream GIV SP). If you need an international charter, New York to London for example or beyond, simply give us a call at +1-877-727-2538 and we will contact specific operators that specialize in those routes to get you the best pricing and quality aircraft. New York City is one of the most exciting cities on Earth, the heart of the American culture and the Capital City of the world. With too many nicknames like the "Empire City", "City that Never Sleeps", "World's Biggest Urban Playground" and "Melting Pot", New York City is simply too large and magnificent. It is the United States most culturally diverse, ethnically varied, and commercially-oriented city. New York boasts many tourist attractions, famous historic hotels, superb restaurants, excellent shopping, and top entertainment such as Broadway Shows, Branson Shows, Grand Ole Opry and the Rockettes. Popular tourist attractions in New York City include the Empire State Building, Statue of Liberty, Grand Central Terminal, Rockefeller Center, Time Square, Staten Island Ferry, Museum of Modern Art (MoMA), Central Park, Metropolitan Museum of Art, and American Museum of Natural History. A trip to New York City is not complete without visiting the upscale shops on Fifth Avenue, strolling through the West Village or enjoying the day in Central Park. One of the busiest cities in the world, New York City attracts millions of leisure and business travelers from around the globe.